Tom w as born in Toronto’s Danforth area 27 June1942 but was raised in Bracebridge in Ontario’s Muskoka area. Here he played hockey, sharing the ice with Bobby Orr (Boston) and the late Roger Crozier. He graduated from Danforth Technical School, Toronto and obtained a position in Administration at H.O. – CBC Confidential Registry. He went on to Ryerson Institute of Technology studying Radio/TV Broadcasting. He obtained his first taste of military with Hamilton Hillpark Sea Cadets where he was introduced to the Baritone Horn. 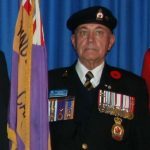 In 1960 Tom joined RCN (Reserves) as Communications Operator HMCS YORK, Toronto and continued his love of Military Music playing the drums in the Naval Band. In 1961 he transferred to the Regular Force Navy as a cook because the Air Force was full. He learned butchering and baking as everything was done by hand then. After a few years steaming it up in the galley he became a ship’s writer. He sailed all over the world, notably to Nigeria for the World’s Fair in ’61. From the heat of Africa it was off to the Arctic. He sailed on more than twenty war ships including the Lennox and Haida (Canada’s most decorated warship). He served in HQ in Halifax for 5 years, Recruiting Centre in Kingston for five years then headed for the west coast where he sailed with # 4 Squadron as a Writer and then 3rd Victoria Squadron as Chief Clerk. He counts among his achievements, working with the Diving Unit as they wrote the NATO Diving Manual that is still in use today, and participating in both the Nova Scotia and CFB Esquimalt 75th Anniversary Tattoos as staff in 1987. Through this career he maintained his musical interest. He fondly recalls hammocks at sea, broadside messing and the great crew morale. 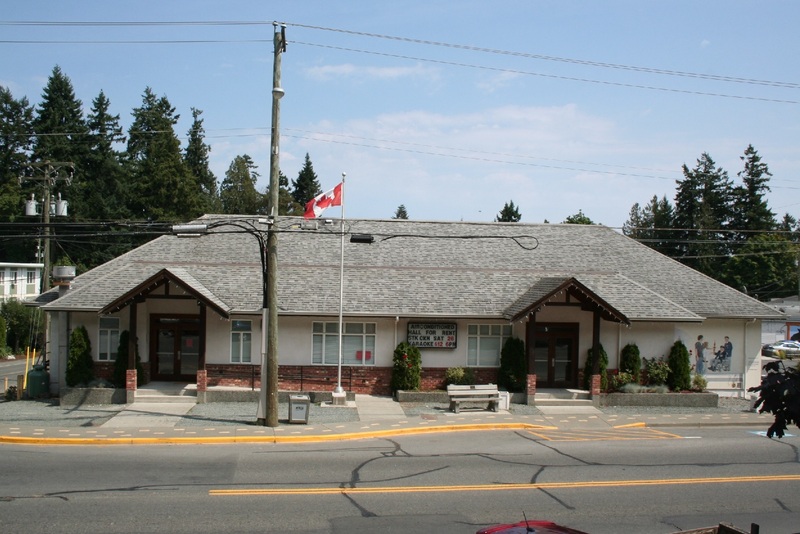 Following retirement from the military, after 32 years, Tom worked for the Liquor Control Board in Victoria then sold chemicals for Zep-Elcare for a few years. Now when he isn’t participating in musical endeavors, Tom takes great pride in Court Mounting of medals as owner of Honourable Mention. He lives in Duncan with his wife Marlene and has two great-grandchildren in the Maritimes.